Sign Upfor Airline Distance Learning today! Instructors are able to demonstrate the relationship between cockpit control panels and complex aircraft systems in real time. While running checklists and accomplishing procedures, students will be able to see how a system changes on switch position. Our online pilot training programs are second to none. This powerful commercial airline pilot training solutions teaching and learning tool can be integrated into your current training device at a fraction of the cost of a new multi-functional training device. CPAT Global is a leading airline distance learning company. Simulator integration for online pilot training offers amazing advantages for pilots. Improves decision-making. There is a big difference in hearing how something is done, seeing how something is done, and actually performing the task yourself. Learning simulations take the knowledge the participant has gained and puts it into action. This not only leads to greater retention, but it allows the participants to explore various actions in a pressure-free environment, knowing there is no real consequences. This allows participants to determine the best approach in any given situation. Allows for repetition. We all know to master a skill, many hours of repetition are required. 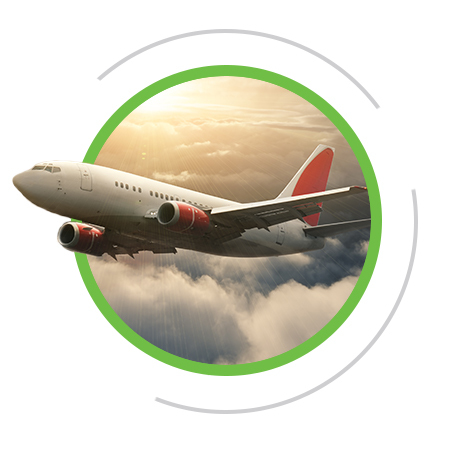 Simulator integration for online pilot training can create repeated content while engaging the learner in an interesting way that doesn’t feel boring and monotonous. For example, you can now tell students about cockpit controls, question them on this knowledge, and then have them participate in a simulation using this knowledge. Simulator integration creates a layered toolbox, which builds rich learning and boosts retention. Reaches different needs of the aviation student. Each online aviation training participant brings different approaches and levels of knowledge would lead to a different outcome. Simulator training for aviation students helps participants learn from mistakes, evaluate their performance and compare it to previous ones, and reach a wider and deeper learning. Simulator training can be customized for the participants so it personally fits for them, which again leads to better retention and overall participant satisfaction in the aviation training. Reduces training time and costs. Simulator training for aviation students reduces training time. Participants learn more, can practice for longer, and can experience the outcomes of different decisions in different scenarios, exposing aviation participants to real-life outcomes. Simulator training allows the company to track the progression of the aviation student and optimize the learning content, practice, and environment. This overall leads to a lower cost for the company and for the aviation student as less time is required in learning. CPAT Global’s mission is to provide the best internet aviation training. Our simulator integration software for online pilot training will not only help the aviation student learn and absorb more information in less time, but allow him or her to experience real-world applications, making for a better overall pilot. Furthermore, your company will benefit with better training, more engaging content, and a higher participant satisfaction rate, resulting in increased participation and less costs for you. Contact CPAT Global today to get started!